Mr. Branson was born on the 18th of July, 1950, in Surrey – a county in England. He suffered from dyslexia and it was very hard for him to be an ordinary student. So he dropped out of school (as many famous entrepreneurs did) when he was only 16 and started his first project – a magazine called ‘Student’. The revenue from the first circulation was around $8 000 form advertisements. The money covered the costs, so he distributed all of the 50000 copies for free. The project was an overnight success and made the initial boost of his career as an entrepreneur. In 1969 Branson decided to get involved in the business with records. This was how he started his mail-order company for selling records – ‘Virgin’. He opened a record shop in London which wasn’t a huge success but provided him with the so needed capital to expand. A few years later, in 1972, Richard opened his own recording studio called ‘Virgin Records’. Many famous artists, musicians, and bands hired the studio for their records. Mike Oldfield, Se Pistols, Culture Club, Rolling Stones and many others recorded their first albums there. He produced many unpopular, controversial or not wanted by the other studios artists. Very soon the Virgin Records studio became one of the tops amongst its rivals. But his journey was not only glory and success. In 1992, his company Virgin Group fell in a bad financial situation and was struggling for its survival. In 1992 Virgin Group was sold to ‘EMI Group Ltd.’ for around $1 billion. This was like a defeat for Branson and he shared that he cried when the deal was over. But after a few years, he started again. Quitters never win and winners never quit. He founded ‘V2 Records’ because he wanted to enter the music business again. In 1993 he got into the railroad business by the company ‘Virgin Trains’. This year he also started ‘Virgin Radio’. 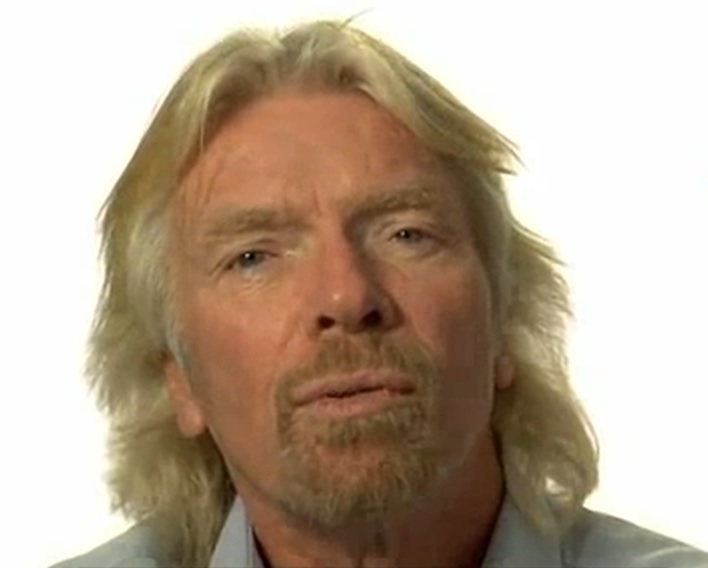 During the next several years Branson founded more than 200 other successful companies under the name ‘Virgin’. They operate in many different countries around the world. You can see a full list and information about them here: http://www.virgin.com/company. He even founded a company offering trips in space – ‘Virgin Galactic’. – 1998 – he attempted a trip around the world on a balloon. – 1991 – flying by a balloon at the speed of 394 km/h he crossed the Pacific starting form Japan and ending to Arctic Canada. This was a new world record.